Cinnamon, clove, and nutmeg, is there anything you can’t do? Mix in order given and bake in 3 layers or loaf at 375 deg. Ice — 7 min. 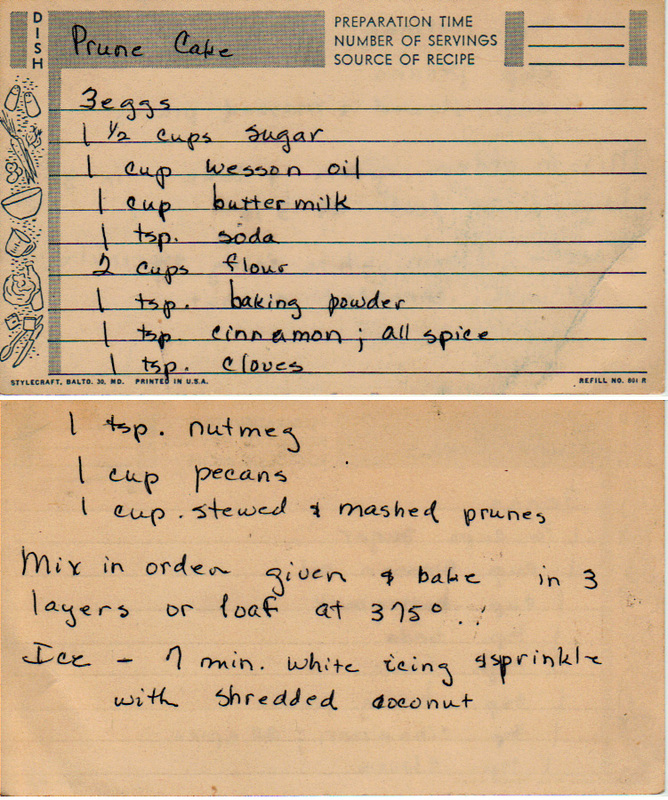 white icing and sprinkle with shredded coconut. I want to make this into French toast the next morning.